The Pfaff Select 4.0 offers 15 stitches with the option to enlarge the width of any stitch up to 5.5mm, even if you're in the middle of sewing. The foot control gives you precise and variable speed control putting you in total control. 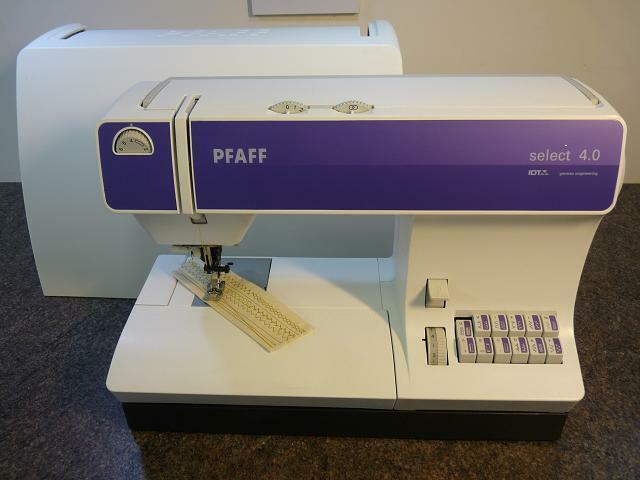 Whether you're at the slowest speed or the fastest, the Pfaff offers strong piercing power which breezes through several layers of fabric. Thanks to Pfaff's exclusive IDT you are guaranteed perfect fabric feed from top and bottom.